Real money saving tips for real people. 1. Create a checklist of items to take a few days in advance (not the morning of) and check them off as you prepare for the big day of fun. Think towels and dry clothes for beach or lake trips; snacks, meals and drinks; sunglasses and sunscreen for summer days, rain or snow gear for winter days, maps or directions, schedules for events, etc. 2. Check the weather the night before and be sure everyone dresses appropriately. Pack extra clothes, umbrellas, sun hats or whatever is appropriate the night before, so as not to forget in all the excitement of the next day. 3. Plan and pack meals and snacks. Not only will your family fun day go much smoother if your food is already prepared, but it can save you loads of money. The price of a snack at a movie theater could buy you a meal at the grocery store, and beverages are one of the highest marked up food items. Insulated beverage cups are a huge money saver in our house. I use mine every single day, and Little R’s milk stays cool and fresh for hours longer in her insulated sippy. 4. When planning your family fun day, check event schedules and business calendars for discount days and times. Everyone knows mattine movies cost less, but did you know, most zoos offer a discount day, as well as most county fairs? Even our local pool has one day a month when entry is half off. Just be prepared you may have to deal with larger crowds those days. 5. Speaking of crowds, check event calendars for special entry days and times. For example, our local pool offers “toddler time” for a few hours before it opens to all ages. This is great for little ones (or parents) who get a little overwhelmed by large crowds and noisy teenagers. 6. Consider your regular daily schedule and try to keep to it. Family fun time can quickly turn not-so-fun, when interrupting normal sleep and meal times. If your family is anything like mine, they get a little cranky when they are hungry and a lot cranky if they don’t get enough sleep. Try to avoid any activities or events that interfere with normal sleep patterns, and pack “emergency” snacks, meals and beverages. If you have nappers in your house, then be prepared to get out of the house early enough to be back in time for nap, or leave after they’ve woke from nap. 7. Dress appropriately. Okay, so I kind of touched on this one, but I want to remind parents that this one is for you too. As a stay-home mom, i don’t get out much. Sometimes I can get a little overexcited when I do leave the house and forget to dress for the occasion. Like I want to wear a skirt and strappy heals to the bounce house. Yeah, I actually did that. Oops! So remember, comfy clothes and tennies are best for keeping up with your kids, and trust me, they will want/expect you to do everything they do. 8. Choose age appropriate activities. Remember, Family Fun Days are all about the kids! This is an opportunity to build lasting memories (as well as impressions) for your kids. You may be an avid fisherman, but your 2 year old daughter may not be ready to sit in a boat for hours on end waiting for something exciting to happen. Young kids have very short attention spans, so activities in which the entertainment changes as quickly as their interest is best. For example; the zoo has a ton of different exhibits, if your child gets bored with one, then you can simply move on to the next. Just remember to stop for drinks and snacks along the way! I actually started this post titled “my favorite kitchen tools” a while ago when I was on one of my infamous baking marathons. I have a few select items in my kitchen I just can’t live without! After reading 20+ Products I Can’t Live Without (Linky Party) this morning, I decided this was the perfect time to finish this post. I also realized there are items all over my house that I can’t live without. So without further ado, my fabulous favorites are here. Picture borrowed from Cook.com Click to visit. Image borrowed from The Spice House. Click for more info. I love my Microplane zesters. I’ve had them for several years, use them a minimum of twice a week and they are still sharp enough to trim my nails if I’m not careful! I love fresh nutmeg and lemon zest. They are my two favorite “secret ingredients.” I put at least one of them in nearly every dish I make. If you have never tried fresh grated nutmeg, I highly recommend it. I feel ground nutmeg purchased from the store are much more bitter. I’ve also found the zesters grate the nutmeg much more finely than the grated nutmeg found in stores. Lemon zest has an interesting quality similar to that of salt in the sense that it really enhances the flavor of other ingredients when used in moderation. If too much is used, also similarly to salt, it can ruin the flavor of a dish, so use sparingly. I can’t imagine cooking without my zesters, nutmeg and lemon zest. OK, so these are not cheap, but definitely worth the money! Watch for sales and coupons and you can get this baby for $100. My friend even found one unopened in the box at Goodwill! Before I received my stand mixer for a bridal shower gift, I mixed everything by hand. By everything I mean EV-ER-Y-THING; bread dough, muffin and cookie batter, meringue, everything, and honestly, I didn’t mind at all. Now, after owning one for less than a year, I can’t imagine my life without one. It just makes baking so much faster and easier. Surprisingly, it cleans up fast too! I have a Shark Cordless as shown above, but I am sure there are plenty other great hand held vacuums out there. Again, this one may be a little spendier, but worth the investment. I just love mine. 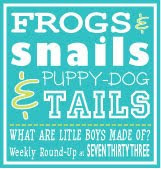 With a toddler, two dogs, a messy husband, a rabbit and a crafty mom all living under one roof; the possible uses are endless! My most common uses? Getting dog hair off the couch, car seat and small rugs. Sweeping up cereal and other dry foods out from under the high chair. Vacuuming up ash from around the wood stove. Cleaning dust, pet hair, dried mud, cheerios, gum-wrappers, etc from every crevice of my car. The brush attachment is also great for dusting vents and the computer keyboard. Longer attachment is great for cleaning the nasty stuff that collects in window and sliding door tracks. Like I said, “endless possibilities. If you have a ceramic cooktop, then you need this and the burnt on grease remover. Seriously, no scrubbing required. So easy to use, simple as one, two, three. Really. Scrape chunky stuff off with scraper. Wipe on a layer of cleaner, allow to sit for a few minutes then buff off with dry cloth or paper towel. If any stains remain, use a little more cleaner or the Burnt on Remover and buff off with pad and then wipe again with towel. I don’t know what the people of Method Soap Co are putting in their cleaners, but they smell fantastic! I, personally, have never had a problem with any of their cleaners streaking, but I also follow their directions. (My husband has a hard time with that sometimes.) Plus, they are made with natural ingredients, so I don’t worry about using them around my baby or pets. Here are my three favorite cleaners. My 5 Minute Face- Don’t leave home without it! I admit it. I am in love with Mary Kay Products. Some of you may have picked up on that? I have had a life long battle with acne and other skin issues. OK, well maybe not life long but it feels that way sometimes. Mary Kay skin care products are the only products I have found that work without stripping the natural oils from my skin and bleaching my T-shirts. (You know what mail order product I am talking about, and if you don’t, just ask Jessica Simpson.) Anyhow, I start and finish my day with the TimeWise Basic Skin care Set everyday, (that’s cleanser and moisturizer; just two products) plus MK TW Microderm Abrassion Set (also two products) once a week. That little regimen keeps my skin looking good enough to skip foundation on most occassions. I don’t like to wear a lot of make-up on a daily basis, so this little bundle makes me feel presentable without feeling overdone. It’s super quick and simple, and takes less than five minutes! Nourishine Plus lip gloss contains antioxidants and botanical extracts to fight aging and give you super soft kissable lips. My favorite color is Fancy Nancy; again, neutral with a little extra pink. That’s it! You are ready to walk out the door! Oh, but you might want to get dressed first! He he! This is my honest opinion on these products based on personal experience and regular use. I do not receive any commission or ad sales on any of these products, unless in the event you purchase a Mary Kay product directly from me. Any other purchase of items through anybody else do not effect me in any way. I just hope you enjoy these items as much as I do! Unfortunately, I am not recovering as quickly from this surgery as I hoped, so I have not been as busy crafting, cooking or decorating as I’d like to be. As of this morning, I had not come up with a new tablescape for the dining room yet, and had pretty much given up on it. Then, as I sat in my recliner drinking my coffee, I recalled something my cousin told me when my daughter was only a few months old: “Sometimes you just have to tidy up one little area and stay there.” At the time she was responding to my comment “How do moms accomplish any cleaning with a baby in the house?” Well my little munchkin isn’t a baby anymore, but I believe the comment applies to recovering from surgery or an injury (or both in my case) as well. For this reason I have decided to clean up and decorate my entertainment center/buffet, as it is in my direct line of sight from the recliner. I feel much better now having something to look at while I relax and recover. Hope you enjoy, and sorry about the pictures; the lighting is not very good in that corner. Maybe I will rearrange and add a lamp there next week. I know just the one too! Happy Tablescaping, and don’t forget to enter the Giveaway drawing! Today is the last day! I was missing the snow (we don’t get much here,) so I went for a snowy theme with a few pops of red for Valentine’s Day. I pulled out my “snowiest” looking doilies and some snow flakes from the Christmas decorations box. Closer up you can see there aren’t any photos in those frames. I am actually going to upload some to Costco online this week (I can do that from my chair, yay!) and order some prints for those. I would also like to do something with that tall plain frame to make it more interesting. Any ideas? Please share your inspirations with me! In the center you can see my antique crystal and silver cake stand (another great Goodwill find!) is decorated with faux flower garland wrapped in circles, pinecones and more Christmas decorations. Er, I mean Valetine’s Day ornaments! LOL Here is a close up so you can appreciate the ornaments. Here is a closer up of the apothecary jar, plain Jane frame, fluer de lis candle stick, and the candy dish you may not have noticed before. Remember the apothecary jar full of pinecones from my winter white centerpiece a few weeks ago? I just added snowflakes, changed out the ribbon and hung a sparkly “crystal” from it. Ta-dah! The candy dish is full of glass beans (also featured in winter centerpiece) then I set in my pretty glass bird and another snow flake. You may also remember the bird from last weeks’ Casual Country Dining. Here is a close up of my dear little bird. So that’s it. Here is the price break down. For a grand total of… drum roll please… FREE! Because I stole everything from other places in the house! That’s the great thing about borrowing from storage and other areas, everything is free. My one money saving tip for the day: If you see something you love at a decent price, it’s worth the money, but if you find something you love that is out of budget, take a mental note of it (or a picture on your cell phone) and keep looking. I guarantee you will find a better deal on a similar item somewhere. Case and point here would be my beloved apothecary jar. Some retail for as much as $200, I found my exact one online selling for $42, but it only cost Mr F $14 at ROSS. Another tip, (ok so I have 2) always check out your local discount stores before buying a piece from a big retail store. Alright, well I need to rest now, so that’s all for today. Hope you enjoyed! Remember the Blog Launch Giveaway ends tonight! Don’t miss out! Oh, and if you have any suggestions for that picture frame I’d love to hear them! Thanks! Hello and Happy Monday to all of you! Today I would like to show you how to make an adorable Easter or Valentine’s Day Decoration: an Easter Egg Tree! I just love this idea, so cute and easy to make. Plus, the materials are cheap and easy to find. Be sure to visit my post “Snow Day” for more ideas on how to make a Valentine’s day themed tree. I have also included the details of my Blog Launch Party Giveaway drawing, and how to enter for those of you who are hearing about it for the first time. I was in a hurry when I posted the original photos of the giveaway prize last Thursday, so I have posted some better pictures at the bottom of this post as well. First, let’s check out this awesome little craft that could be your next centerpiece or even gift for Teacher. Step 1: Select your pot and paint it if you prefer. I cheated and found this pre-decorated one (as well as foam block and Easter eggs) at Dollar Tree. Step 2: Using a sharp knife, cut foam block to fit in decorated pot. You may need more than one block, if so then be sure to poor glue between blocks, so that the blocks stick together. Step 3: Remove block(s), poor a large amount of craft glue into bottom and along sides of pot. Replace foam block(s.) Add more glue and top with cotton balls, leaving a space in the middle for the “tree.” Wipe any excess glue off of the rim or outside of pot and set aside. Step 4: While glue sets, lay out cloth material face down on a clean, flat surface. Use a bowl with an opening at least an inch in diameter wider than the pot as a stencil. Invert bowl on material and trace with ball point pen or fabric pencil. Step 5: Cut out circle. Fold the circle in half and cut a small v in the center of the fold. When you open it up you should have an x in the center of the circle. Step 6: Apply a thick bead of craft glue along the inside edge of the pot. Place circle of material over pot with x in the center. Use butter knife or tongue depressor to tuck ends of material down into the pot. Set aside. Step 7: Use a pair of pruning sheers to trim up small branches to create the look you like. Then pinch stems together and trim to desired height leaving at least 3 extra inches of length. Step 8: While holding stems together, push branches through the x in the material and down into foam at least 3 inches. You may want to secure with a little extra craft glue, but it may not be necessary. Step 9: Finally, decorate with egg ornaments from Dollar Tree or consider making your own! Pat yourself on the back. You made an adorable tree your kids will love to decorate for Easter. First Entry: In order to receive the first entry please leave a comment on your favorite Fabulously-Homemade blog post thus far, telling me what you like about it AND follow me via e-mail, FB or Twitter. The first entry is required in order to receive additional entries. NEW! Pin me to your home decor, arts and crafts or food and beverage boards on Pinterest! It’s that simple! Just blab about me to your friends, then comment every time you link my page, follow or Pin me. (If you are already a follower please let me know in a separate comment as well.) That’s a total of 5 comments equaling 5 entries! Start your morning (and end your day) with spa quality skin care, that will leave your skin as soft (and as beautiful) as silk. The TimeWise® Miracle Set® provides incredible age-fighting results to help give you younger-looking skin. Don’t believe me? It has been featured in Good Housekeeping Magazine, In Style and several other “glossy” publications. Click here for more information on the 11 age-defying benefits of the Miracle Set. Next in the bag we have a little something for those other areas you may want to firm up before the warmth of Spring: The Timewise Body Visibly Fit Lotion. This silky-smooth body lotion combines the benefits of Mary Kay’s patented* TimeWise® complex with the benefits of amino acids and botanicals. It improves skin firmness, provides up to 10 hours of moisturization, and improves skin elasticity and texture. Do you love perfume? Wish you had a fragrance for every day of the week? If so, this next gift is for you! Enjoy six mini fragrances in a pretty little gift box tied with a pink satin bow.There is a fragrance for every person and every occasion in this set, and they could all be yours! Look at the beautiful drape in the wrap and the sheen on the bag. Luxurious! Finally, engulf yourself in this glorious, silky-soft, light pink wrap. This wrap is big! We are talking a whopping seven and a half feet long by 2 and a half feet wide big! Or is it the other way around? Anyway, it’s big enough to keep you warm in a chilly winter breeze. It’s satiny smooth with just enough soft fuzz to make you feel glamorous and comfortable. Whether going to a cocktail party or just the craft store, you won’t want to leave home without this gorgeous wrap! It can even double as a throw for your Valentine’s Day Tablescape! The satiny bag can double as a matching decorative pillow case too. Just place a small throw pillow inside and button it up! Well get posting ladies, because you do not want to miss any opportunities to enter this drawing. You and your skin will thank me. Remember, contest ends at 10PM PST, this Thursday. Good Luck! By the way the above image is actually a painting, I found when looking for an image for the link (I didn’t like the image on the webpage.) The artist has some beautiful still life paintings of transferware, teacups, and other household objects on his webpage. Restore metal outdoor furniture. I actually have a specific piece in mind, so stay tuned to see how it turns out. Pruning Blackberries. Just something I have been wondering about lately. Growing Blueberries. Looking foward to Spring! Something to do with all those extra canning jars! Create your own style on polyvore. 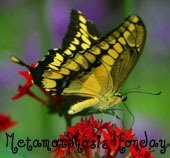 I hope these webpages keep you entertained until I can get back to cooking and crafting! Stay tuned! I’ll be back in no time! Quick Apology: I’m sorry this post was late, but I had surgery yesterday, and was unable to post it before I went in. For this reason, I extended the entry time for the giveaway, by one day. Happy Tablescaping! Welcome, and thank you for visiting my second Tablescape Thursday with Between Naps on the Porch! 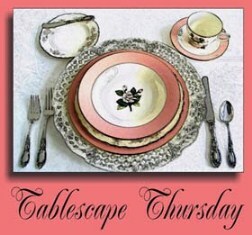 This is a very special Tablescape Thursday, because it marks the first day of my week-long Blog Launch Party. At the end of which I will be giving away this beautiful gift bag packed with products worth $175! More information about that in a moment, but first let me tell you about my Casual Country Dining Tablescape. Today I am going to show you how you can use incomplete sets and a few of your favorite decorations to create a cheap and easy tablescape. Nobody should have to dine at a boring table! The inspiration for my Casual Country Dining Tablescape was found on these cute rooster place-mats I purchased at the dollar store the other day. Yes, they are kind of cheap looking, they are from Dollar Tree, but the colors match my kitchen and dining room perfectly. Plus, I love roosters, so I just couldn’t walk away from them. You can see the rooster peeking out from under the plates. Next I had to find a tablecloth to match. Honestly, I don’t own a lot of table linens, (not everyone does,) so I used a shower curtain that had been sitting in the cupboard ever since I bought a new one a few months ago. I love the dramatic dark red color and pretty paisley pattern, so I wasn’t about to do away with it. I’ve been searching for an excuse to pull it out again, and what better reason than this?! Next I began layering plates. I wanted to be able to see some of the rooster, so I started with clear glass plates on the bottom. I only had two, so I alternated them with my Mikasa Antique White plates. The clear glass plates are from Dollar store, of course, and the Mikasa are our daily use dinner wear that we received as a wedding gift. Atop the plates I layered my new cereal bowls from TJ Maxx. I love how deep they are (great for a heaping scoop of oatmeal… or ice cream) and the little dots along the rim are so fun. They are Bella Lux AMALFI, and they only cost me $8 for a set of 4. These beautiful bright white napkins were a great Goodwill find; $3 for a set of 4! In fact the only “expensive” pieces on this tablescape are the crystal water/wine glasses, and they were handed down to me from my Grandfather, when he downsized from a house to a condo several years ago. I continued the mismatched hodgepodge theme of the plates with interchanging flatwear sets and chairs. See, you don’t even have to have a full set of anything to have a fun and fancy dinner table! Just pick some pieces with a corresponding theme and see what you can make work.The centerpiece was a lot of fun for me to create. I just started looking through all my home decor stuff looking for things that would give the table a “casual country” feel. As I was searching I found some boxes of my Nana’s things she had given me, and others I had claimed after she passed away. I found the glazed clay vase in one of them, as well as several other items I can’t wait to feature in future posts. My Nana was a very crafty woman and a very big inspiration to me in that sense. I’ll tell you more about her in future posts, but let’s get back to the table. The other vase my sister brought home from a wedding several years ago, and eventually gave to me. The hurricane glass and candle you may recognize from last week’s centerpiece, Winter White. (They too were from Dollar Tree.) The green glass votive holders and amber salt and pepper shakers bring out the nature inspired colors of the placemats. While the cream cow (Mikasa, collection unknown) and creamer (Mikasa Antique White, shown in first photo) with my white mercury glass bird ornament really lend to the country feel of this tablescape. In case you are curious, I found the votives in the dollar bins at Michael’s a few years ago, and the salt and pepper shakers I found in a cafe gift shop while traveling. I don’t know who made them; I just plucked them off the shelf and took them home, after I paid for them of course! The white mercury glass bird was a little more spendy than most of the items on my table at $17.99 from a home crafts store in Coose Bay, OR. Worth every penny though, because I love it so much and have found so many things to decorate with it. Cute little birdie. That’s it! Mix and match partial sets of China, dinnerwear, flatwear, even chairs to make dining at your table fun and beautiful. Don’t forget last weeks lesson: Use what you already have. Clean out your storage boxes and see what fun surprises are waiting for you in there! I only spent $8, on the bowls and $4 on placemats, everything else was picked from different areas of my home! Lastly, when you see a deal, steal it while you can, because believe me 4 cloth napkins for $3 is not going to last long. Now I bet you want to hear about that giveaway, don’t you!? Here is the scoop! This beautiful satiny bag is packed full of Mary Kay products to make you look and feel beautiful. Start your morning (and end your day) with spa quality skin care, with your Mary Kay Miracle Set customized for your skin type. The TimeWise® Miracle Set® provides incredible age-fighting results to help you maintain younger-looking skin and was featured in Good Housekeeping Magazine. Click here for more information on the 11 age-defying benefits of the Miracle Set. Next in the bag we have a little something for those other areas you may want to firm up before the warmth of Spring: The Timewise Body Visibly Fit Lotion. Do you love perfume? If so, this next gift is for you! Enjoy six mini fragrances in a pretty little gift box tied with a satin bow. Finally, engulf yourself in this glorious, silky-soft, light pink wrap. This wrap is big, soft and warm. It could even double as a throw for your Valentine’s Day Tablescape! The satiny bag can double as a decorative pillow case too. First entry: Follow me on email or any of my RSS Feeds and leave a comment on the blog post you like best so far. Bonus Entry: Additional entries may be received by mentioning my Blog Launch Party and giveaway with a link in your next blog post or in a facebook update. Please leave me a comment to let me know you have. Entries for this giveaway will be accepted through 10PM (PST) on Thursday Jan. 26th 2012. Winner will be announced on the following Met. Monday and Tablescape Thursday. Quick, easy and cheap, kid friendly homemade gift for your teacher, assistant, lover, friend or kids! This craft is so easy and super cheap! I found these little hinge top jars at dollar tree and knew they could be the basis of my next craft project. There is just something about a glass jar that makes me want to fill it with something special for someone special. Below are two ideas for Easter and Valentine’s Day, but the possibilities with these stout little jars are endless. I plan on going back to get more for organizing my office/craft room next week. For this one, I filled the jar with Jordan Almonds purchased from the bulk bins at my grocery store. Then tied on a bright pink wire edged ribbon from Dollar Store. I finished it with a tag I made of card stock and colored paper. I used paper punches to cut out the circle and flowers, and glued a tiny little crystal in the middle for a little sparkle. I fastened the tag with a little wire rose for a little extra embellishment, but you could easily use a thread or some twine. I also thought it would be cute to tie a small silk flower on in place of the tag. You can usually find these roses in the Bridal department at Michael’s, but I found 12 bundles at Goodwill for .99 cents. SCORE! For the Valentine’s “Jug Of Jellies,” I filled the jar with red, pink and white jelly beans, but for an extra special Valentine, consider filling it with gourmet chocolates, peanut butter cups, or truffles. Obviously, I tied this one with a red satin bow. The tag is card stock and the hearts are actually stickers from Dollar Store. (Can you tell I’m a Dollar Store addict?) As you can see I tied this one on with the same little white rose,and on the jar bellow, I slid the tag onto the ribbon, tied the bow and then tucked a tiny bouquet behind the ribbon. With a bundle of tiny roses. There are so many possible variations for this little gift jar. You could do black and orange jelly beans for Halloween with a little spider charm, or decorate one with a color motif to match your favorite sports team, fill it with your best chip-dip and bring it to game night to share with friends! Be creative! Got an idea? Share your ideas with me. I’d love to hear them.